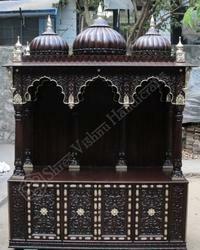 metal mandir haveli type. Piece of elegant handicrafts. 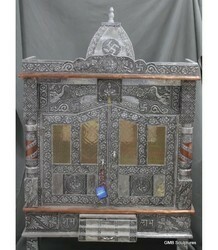 We are a leader in offering a best quality of Brass Minakari Temple to our clients. All this designer Brass Minakari Temple is provided with heart touching colorful designer patterns. Craftsmen of Meenakari Work India have created some amazing masterpieces with Meenakari throughout history. - Size W 42" L 21" H 60"